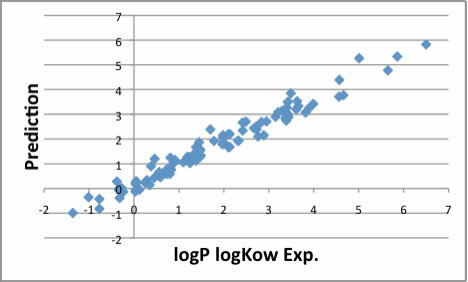 If you have the Smiles or InChI molecular structure, you can estimate logP (logKow) very easily with HSPiP. 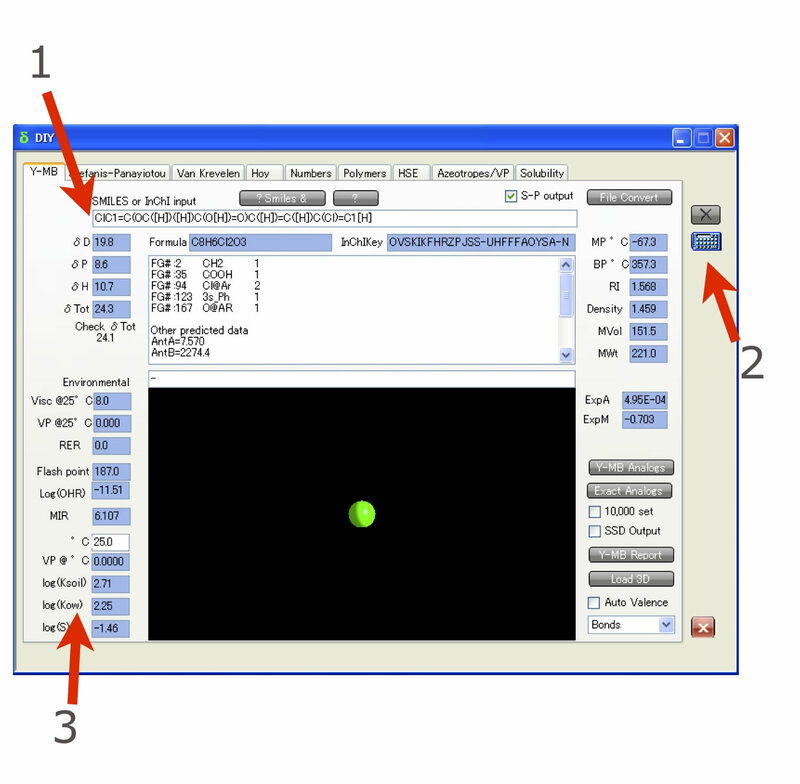 Program break molecule into functional groups and estimate properties. Now I finished build new Y-MB ver. 3.1 and checking the accuracy. 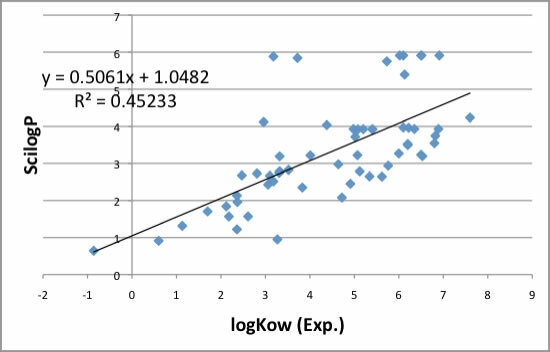 I found the logP data for hormonally active agents (endocrine disrupting chemicals). At first, I need to get the Smiles molecular structures. I searched in our HSPiP database. 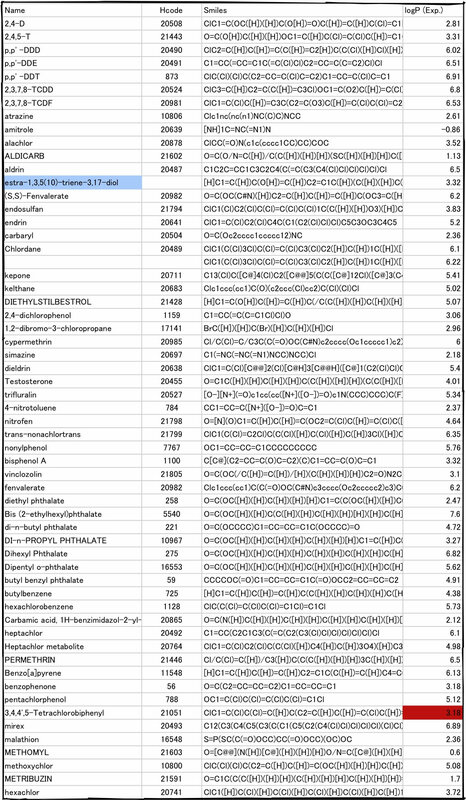 Almost all these compounds are already exist in our database and determined HCode (Hansen Code). Once I get the Smiles molecular structures, I can easily get all estimated properties. The only one molecule (HCode=21051) is out of the Line. 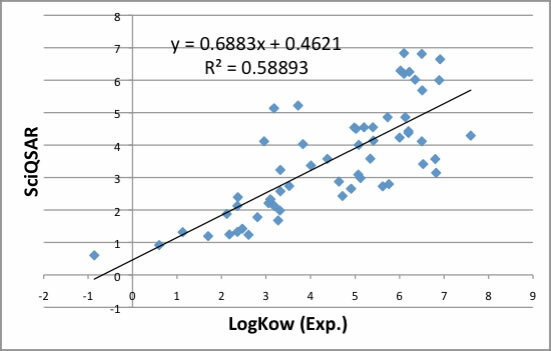 Compare with the similar compounds' logP, 3.18 is too small and predicted value 6.27 is very reasonable. But I can say, Y-MB ver. 3.1 have very good accuracy. 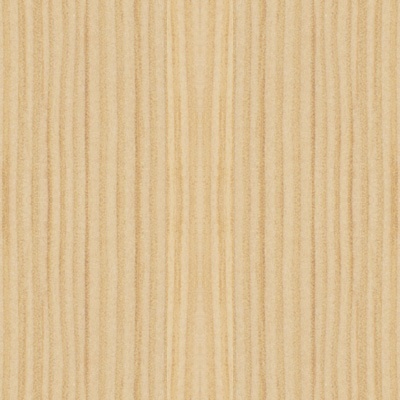 If you have other papers that list molecules and logP, please send me. I will confirm my method. 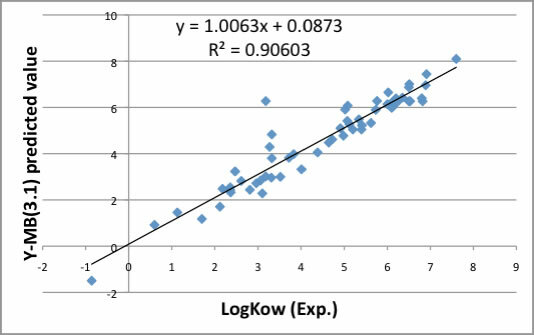 If you are interested in logP and Hansen Solubility parameters, then please refer to this article. Volatile Organic Compounds (VOC) Prediction Result.